Search Engine Optimisation is an ever-changing and vital strategy that helps get your website in front of your target audience. 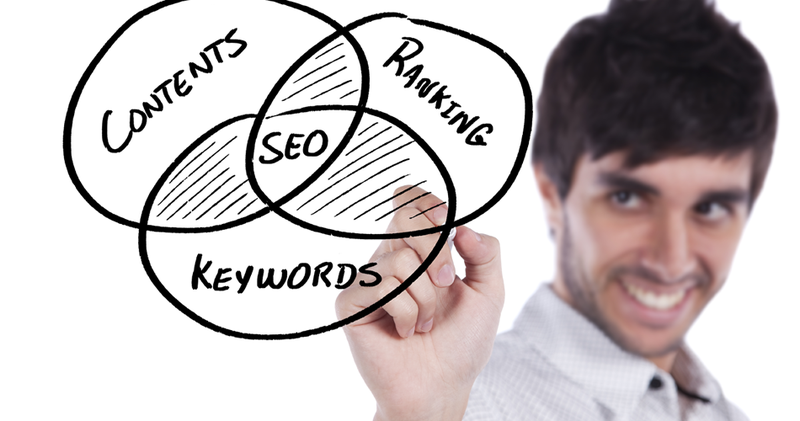 As it names suggests, the purpose of SEO is to make your website search friendly. It involves keyword research and requires great content writing to help make your website more attractive to search engines. This article we will tell you the top three tell-tale signs that indicate that your SEO strategy may not be working hard enough, some common SEO myths and how video content can help. Many marketers concentrate on keyword ranking positions to determine the success of their SEO strategy, but algorithm updates have rendered this method ineffective. Why? Because Google takes personal factors into account when making a search – user intent, location, search history and demographics of the searcher to name a few. Plus, there are a million different SEO tools to help monitor your rankings, each with their own process, so it’s impossible to get a definitive answer on exactly where you rank on certain keywords. Nowadays, it is far more beneficial to look at your Organic traffic as a solid indication of how well your SEO is working for you. Analysing traffic monthly will highlight falling traffic – a clear indication that you need to up your search engine game. Sudden drops will most likely be down to Google cracking down on “Black Hat” SEO tactics, so stop that! However, there is more to just checking the number of organic sessions your website is getting. Delving deeper into the behavioural metrics of this source of traffic will tell you if your content is performing well. Are people clicking onto further pages of your site? Are they converting? Is your bounce rate high? If your organic traffic is consistent, but you answered “no” to any of those questions, there is still a problem you need to fix. Similarly, if your Organic traffic stays the same on a month on month basis, your SEO needs improving – it’s about long-term growth after all. Organic traffic differs from other sources of traffic in the sense that visitors should intend to purchase from your website if you’re targeting the correct keywords . If you aren’t targeting the right audience through your SEO strategy, then your visitors are less likely to convert into customers! Audience-focused content is a massive driving force in search marketing, but SEO is what is needed to draw in the audience in the first place. Depending on what industry you operate in, you should be looking to turn about 5% of your visitors into customers. If you’re not converting, take a look at your previous conversions to see which search terms brought the traffic; and behavioural metrics such as bounce rate and page depth to establish whether the content is targeting the right keywords and is useful enough to encourage people to buy from you. 3. Your behavioural metrics aren’t very promising. It’s all well and good having a healthy amount of sessions, but the behavioural metrics which accompany them are a great indication of whether your SEO strategy is effective. Your SEO strategy should target your audience with keywords and phrases, so if you’re metrics are telling you that your visitors are not spending very long on your page, bouncing immediately, or they are not visiting any other page on your website, take this as an indication that they are not finding what they are looking for. Video content on your website is extremely cost-effective and helps you reach a variety of different marketing objectives; whether it be increasing conversions or simply getting more traffic to your website in the first place. But for now, we will concentrate on how video helps to rectify the problems we highlight above. Having video content with the appropriate video SEO elements can improve your search engine ranking. A recent Forrester study showed that online video was 53% more likely to gain first page rankings than webpages due to greater emphasis on so-called “blended search results”, which includes Youtube videos at the top of the search results page. Added bonus: Facebook and Instagram have followed suit and given more “airtime” to video content on newsfeeds. It’s what people want! When using video content in your marketing, include a transcript for search engines to crawl. Here, you can actively target long-tail keywords – ones that are more likely to be used by people who are further down the sales funnel and ready to purchase. Video content is recognised as being one of the best forms of marketing material for encouraging people to purchase, with 92% of online shoppers saying it is the most influential factor in their purchase journey. This is because video content is an engaging way to tell you audience about your product or service. In fact, studies show that adding a marketing video to your landing page can help to increase conversions by up to 80% (Visually, 2016) A promotional video or a product demo is a great way to push your audience down the sales funnel. Video content is a god-send for improving metrics such as bounce rate, average session duration and conversion rate. Because it is so engaging, people tend to stick around on your page for longer, as well as visit other pages too. Bounce rate and pages per session: watching a video can incite curiosity in your brand or product, and entice people to click through to other pages to find out more rather than leaving your site altogether. Keep an eye on your User Flow to see where your visitors go to find out more! Average session duration: videos help to keep people on your page for longer, showing Google that it is relevant to the users search queries and improving your ranking for that query. New sessions: video is an easy and engaging way to entice new visitors to your website. Posting a promotional video on social media for people to click through to your website works wonders. Conversion rate: As mentioned above, video is great for getting those all-important conversions. Video SEO: Boosting your campaigns with Video Content – We take a look at how video content can be repurposed for different marketing channels, and take a look at the SEO elements you need to get right for better SEO. 6 Tips to Make Your Video SEO-Friendly – a quick summary of 6 key SEO elements you need to get right for your video to be found on search engines. Video SEO: What, why and how? – A run down on Video SEO, blended search results and whether it’s better to use your YouTube videos or self host.